As a blogger and “Mom Ambassador” for Green Moms Meet (you can become one, too, HERE), I have been able to try and review some great products from health-focused brands. The latest was Kabrita. Fortunately, my kids don’t have milk allergies but for those who are allergic or sensitive to cow’s milk, I have heard great things about how switching to goats milk helps clear up rashes and congestion and gives kids a delicious alternative to milk and yogurt. 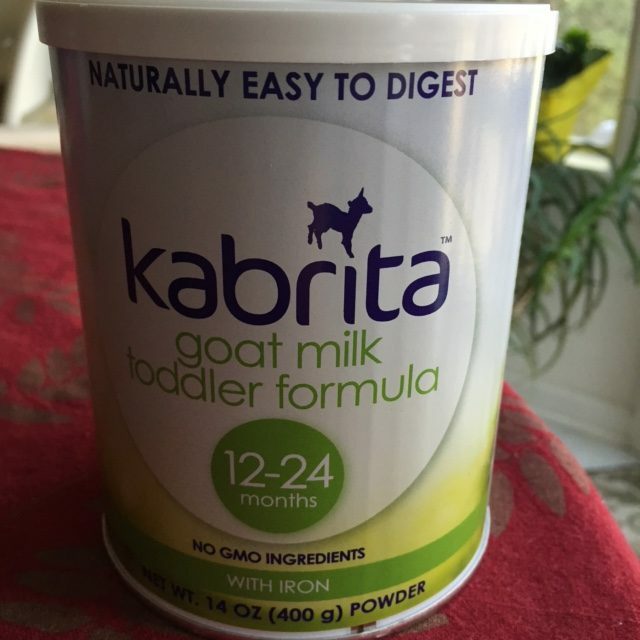 We also were able to try Kabrita Goa’s Milk Toddler Formula. My school-aged young one wouldn’t try it (she has an aversion to all milk) but my toddler was way more willing. Mixing a powder into water made me a little skeptical that this would taste like milk but it absolutely looked like it – with a similar taste and texture. The American Academy of Pediatrics recommends transitioning to whole cow milk at 12 months, but for children with cow milk sensitivity, this isn’t an option. 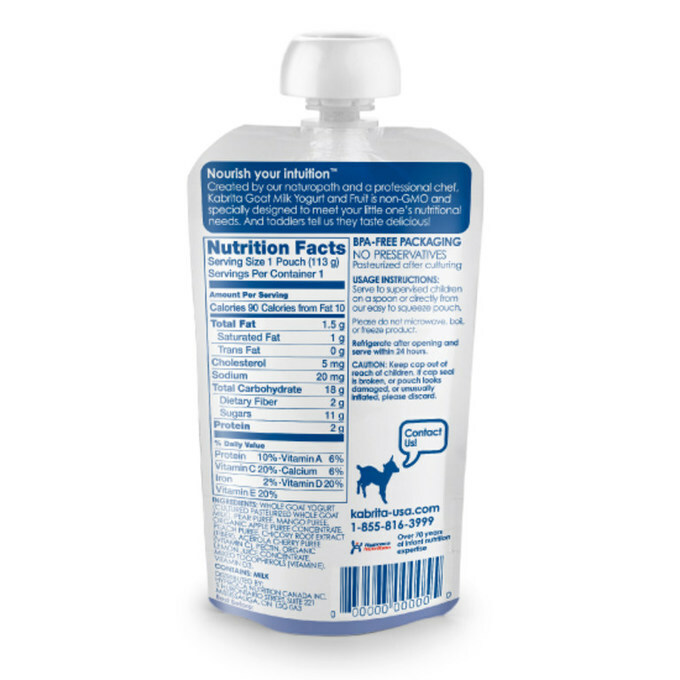 For children under the age of two, however, whole goat milk is not ideal, as it is low folic acid, Vitamin D and iron – all important to toddler growth and development. 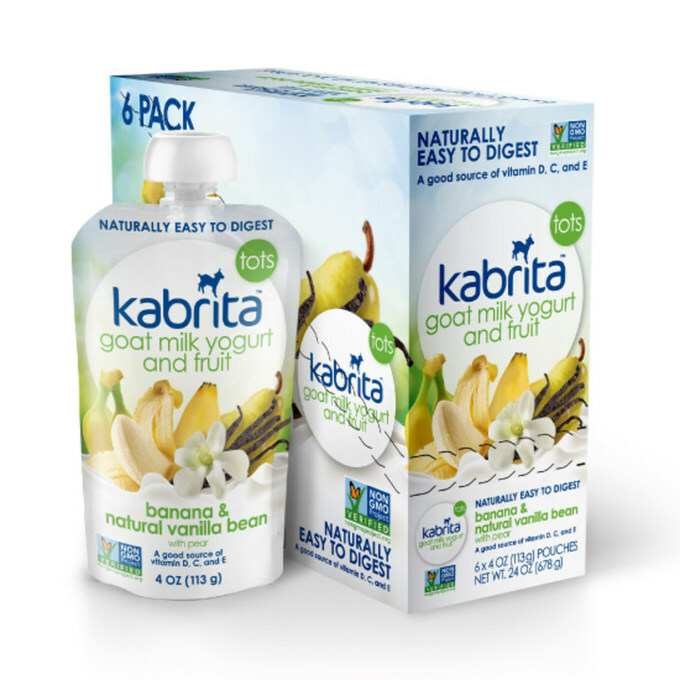 By using goat milk protein as a base for formula, we harness the naturally easy to digest benefits of goat milk in an adapted formula with all the vitamins and nutrients toddlers need. 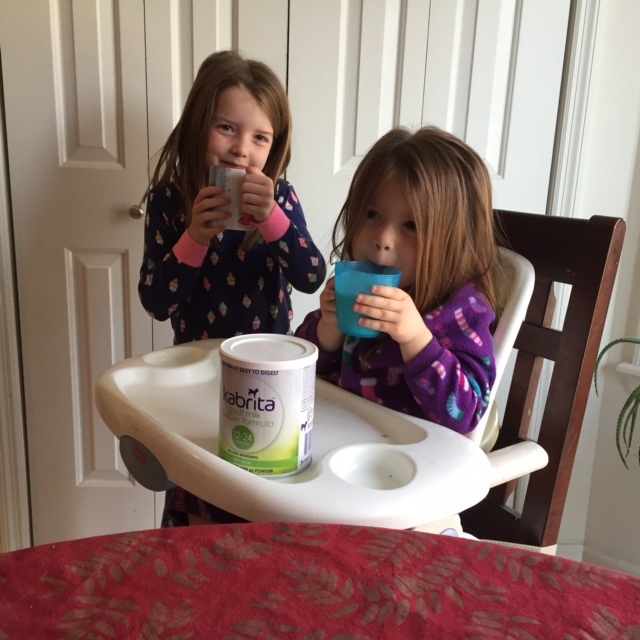 The verdict from my home: My kids both loved the Goat’s Milk Yogurt and Fruit pouches! We found them convenient, portable and really tasty! They are also lower in sugar than I would have expected- another plus! My kids didn’t know it was goat’s milk instead of cow’s milk, which they are used to. I would highly recommend it! 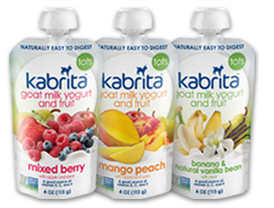 Where to buy: Kabrita is sold at Whole Foods in Albany but you can also find it online and, if you sign up HERE, you can get 10% off. This entry was posted in Whole Foods. Bookmark the permalink.